SINGLE SPAN, DOUBLE SPAN, MULTI-SPAN. X or V TYPE BRACING MADE BY ANGEL STEEL, ROUND Bar etc. SANDWICH PANEL INSULATION WITH EPS, PU, ROCK WOOL etc. Spray-Painting, Any color, according to your request. Our professionalÂ engineerÂ and design team will provide theÂ steel structure drawings for you.Please just let me know theÂ informations as below. 2. Area and local climate: wind speed, snow load andÂ earthquake magnitudeÂ etc. 3. 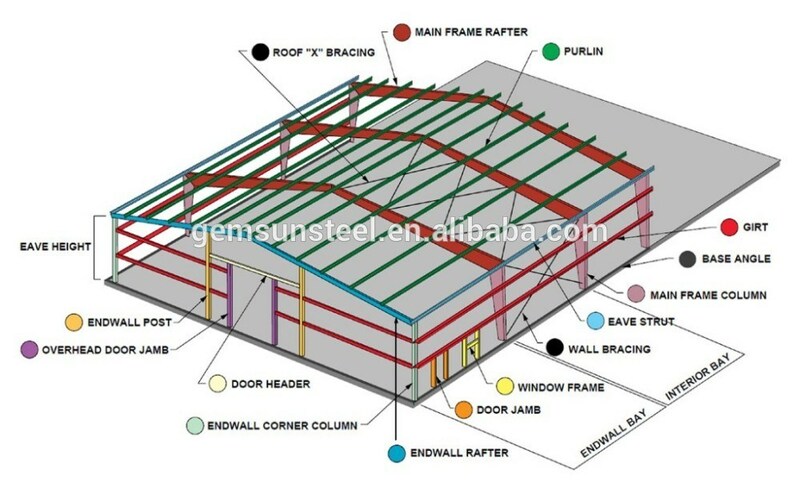 The materials ofÂ the roof and the wall you want,usually it can be corrugated steel sheet and sandwich panel. 4. If need crane. If yes, please tell me the max lifting weight and max lifting height. 5. Any other requirements,please also inform us. 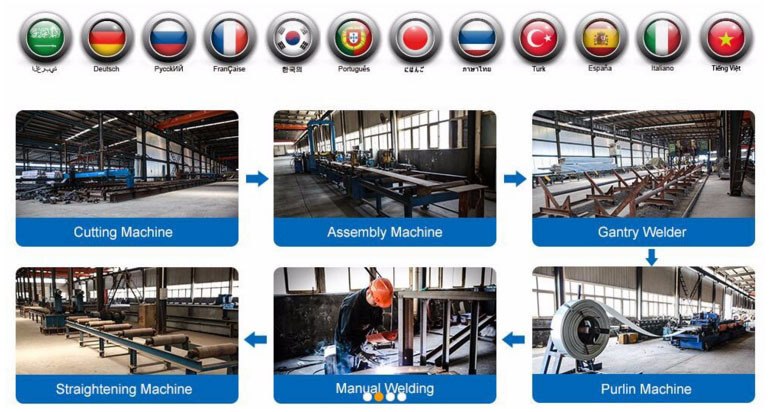 1.You are manufacture factory or trading company? A: We are manufacture factory. TheÂ largest Hot Dip Galvanize BathÂ in Qingdao is owned by us .And you are welcomed to visit us for inspection. The quality control flow will show you our professional. 2.Is your price competitive with other companies? A: Our business objectives are to give the best price with same quality and best quality with the same price. We will do everything we can to reduce your cost. 3.Do you offer service for installation? A: We will give detailed installation drawings and direction info for free. And we could send engineers as installation director even a team. 4.Do you accept container loading inspection? A: You are welcomed to send an inspector, not only for the container loading, but any time during the production time.